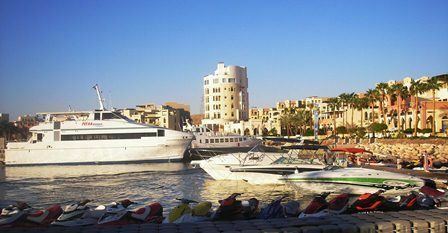 Aqaba ( ; Arabic: العقبة‎‎) is the only coastal city in Jordan and the largest and most populous city on the Gulf of Aqaba. Situated in southernmost Jordan, Aqaba is the administrative centre of the Aqaba Governorate. The city has a population of 188,160 and a land area of 375 square kilometres (144.8 sq mi). Today, Aqaba plays a major role in the development of the Jordanian economy, through the vibrant trade and tourism sectors. The Port of Aqaba also serves other countries in the region. Aqaba's strategic location at the northeastern tip of the Red Sea between the continents of Asia and Africa, has made its port important over the course of thousands of years. The ancient city was called Ayla, its strategic location and proximity to copper mines, made it a regional hub for copper production and trade in the Chalcolithic period. Ayla became a bishopric under Byzantine rule and later became a Latin Catholic titular see after Islamic conquest around 600 AD, when Ayla became known as Aqaba. The Great Arab Revolt's Battle of Aqaba, depicted in the film Lawrence of Arabia, resulted in victory for Arab forces over the Ottoman defenders. The Edomites who ruled over Edom just south of the Dead Sea, are believed to have built the first port in Aqaba called Elath around 1500 BC, turning it into a major hub for the trade of copper as the Phoenicians helped them develop their maritime economy. They profited from its strategic location at the junction of trading routes between Asia and Africa. Around 735 BC, the city was conquered by the Assyrian empire, where the port witnessed relative prosperity. Because of the wars the Assyrian empire had in the east, its trading routes were diverted to the city. The Babylonians conquered it in 600 BC. During this time, Aqaba witnessed great economic growth, which is attributed to the business background of its rulers who realized how important the city's location was. The Persian Empire took the city in 539 BC. Aqaba continued to grow and prosper which made it a major trading hub by the time of the Greek rule in 333 BC, it was described by a Greek historian to be "one of the most important trading cities in the Arab World". The Ptolemaic Greeks called it Berenice. The Nabatean kingdom had a large population north of the city, the ones who had built Al-Khazneh in the city of Petra, they outnumbered the Greeks which made the capture of the city easy. One of the oldest known texts in Arabic alphabet is an inscription found in Jabal Ram 50 kilometres (31 miles) east of Aqaba. In 64 BC following the Roman conquest of the Levant, they annexed the city and called it Ayla and Aelana. Both Petra and Ayla were under Nabatean influence, but despite the Roman rule, the Nabateans continued to prosper. Ayla reached its peak during Roman times, the great long distance road the Via Traiana Nova led south from Bostra through Amman, terminating in Ayla, where it connected with a west road leading to Philistia and Egypt. Around 106 AD Aqaba was one of the main ports for the Romans. It was the home origin of what came to be known as the Ayla-Axum Amphoras. In classical texts the Roman city is known as Ayla, and this is the standard form of the Roman name in scholarly studies. By the time of Eusebius, Ayla became the garrison of the Legio X Fretensis, which was moved to Ayla from Jerusalem. Ayla came under Byzantine Empire rule in 300 AD, where the Aqaba Church was constructed, considered to be the world's very first purpose-built church. The city became a Christian bishopric at an early stage. Its bishop Peter was present at the First Council of Nicaea, the first ecumenical council, in 325. Beryllus was at the Council of Chalcedon in 451, and Paul at the synod called by Patriarch Peter of Jerusalem in 536 against Patriarch Anthimus I of Alexandria, a council attended by bishops of the Late Roman provinces of Palaestina Prima, Palaestina Secunda and Palaestina Tertia, to the last-named of which Ayla belonged. 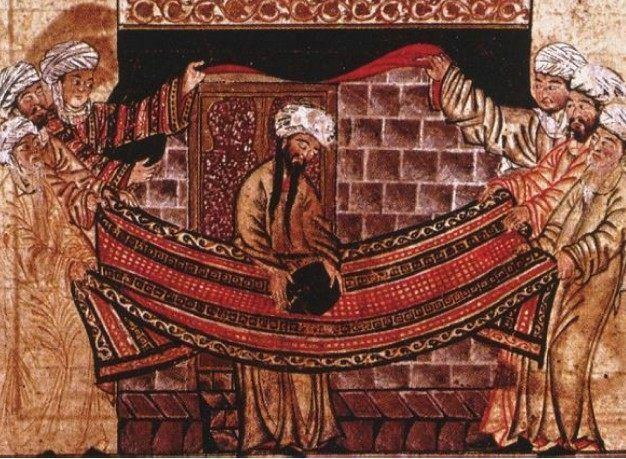 Soon after the Islamic conquests, Ayla came under the rule of the Islamic Caliphate, and thereafter passed through the hands of such dynasties as the Umayyads, Abbasids, Fatimids and Mamluks. The early days of the Islamic era witnessed the construction of the city of Ayla, which the geographer Shams Eddin Muqaddasi described as being nearby the original settlement in ruins. A fortress called Helim, was built in the 12th century by the Crusaders, which remains relatively well-preserved today. They also built in the small island called Pharaoh's Island now lying in Egyptian territorial waters about 7 kilometres (4 miles) west of Aqaba. Saladin recaptured both Aqaba and the island in 1187. In 14th century Qansah Al-Ghouri, one of the last Mamluks sultans took over and rebuilt the Aqaba Fortress. By the beginning of the 16th century, the Mamluk dynasty had fallen into decline and the area came under the influence of the Ottoman Empire. For 400 years, it became a simple fishing village of little importance. But the city quickly regained its importance after the Ottomans built the Hejaz railway, connecting the port to Damascus and Medina. 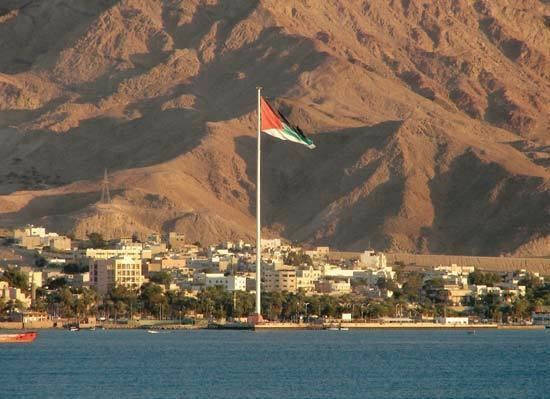 Aqaba was ceded to the British protectorate of Transjordan in 1925. King Hussein, through an exchange deal with Saudi Arabia, gave 6,000 square kilometres (2,317 square miles) of desert-land in Jordanian territories in an attempt to give the south of Aqaba 12 kilometres (7 miles) of prime coastline, including the magnificent Yamanieh coral reef. Aqaba was a major site for imports of Iraqi goods in the 1980s until the Persian Gulf War. The city lies at Jordan's southernmost point, on the Gulf of Aqaba lying at the tip of the Red Sea. Its strategic location is shown in the fact that it is located at the crossroads of the three continents of Asia, Europe and Africa, while bordering Israel, Egypt and Saudi Arabia. Aqaba has a desert climate with a warm winter and a hot dry summer. Marsa Zayed a $10 billion is the largest mega mixed-use development project ever envisioned in both Jordan and the region, promising to become a bustling center of commerce, tourism and living. Marsa Zayed will host a wide array of facilities, including residential neighborhoods, commercial outlets and amenities, entertainment venues, financial and business facilities, and a number of world-class branded hotels. Additionally, the property will feature picturesque marinas and a state-of-the-art cruise ship terminal, complete with first-rate services and facilities. This new cruise ship terminal promises to transform the city into a pivotal tourism destination along the Red Sea. Upon completion, Marsa Zayed will encompass a staggering 6.4 million square meters of built-up property. Ayla Oasis, a $1.5 billion resort around a man made lagoon with luxury hotels, villas, an 18-hole golf course designed by Greg Norman, one of the world's "leading golf course designers". It also has an Arabian Venice theme with apartment buildings built along canals only accessible by walkway or boat. This project will be completed by 2017. Tala Bay, Tala Bay was developed in a distinctive architectural style that blends Jordanian and regional architecture into a modern and friendly atmosphere with total cost of US$680 million. Another distinguishing feature of this single community resort is its two-kilometer private sandy beach on the Red Sea, which offers many attractions to residents and visitors with a wide selection of activities for the entire family. ِIslam represents the majority of the population of Aqaba, but its ancient roots in Christianity still exist today. Approximately 5,000 Christian families live in the city. There are several churches in the city and one Christian school called Rosary Sisters School Aqaba. The fact that the city is the only coastal city in Jordan, it has a distinctive cuisine relative to other Jordanian cities. Main dishes include; Sayadeyah is a common dish among Arabs coastal cities, which is a combination of rice, fish and spices. Kishnah is made up of fish, tomatoes and onions cooked together. Bukhari is made up of rice, meat, humus beans, ghee and spices popular with wedding ceremonies. While Aqabawi Desserts include; Al-Hooh which consists of layers of pastry stuffed with nuts or dates. It is then fried in ghee and dipped in sugar syrup. And Dates and ghee which is commonly presented to guests. It is a simple dessert consisting of fresh dates dipped in ghee. King Hussein International Airport is the only civilian airport outside of Amman in the country, located to the north of Aqaba. It is 20-minutes drive away from the city center. Regular flights are scheduled from Amman to Aqaba with an average flying time of 45 minutes which is serviced by Royal Jordanian Airlines and Jordan Aviation Airlines. Also several international airlines connect the city to Sharm el-Sheikh, Istanbul, Dubai, Alexandria and other destinations in Europe. Aqaba is connected by an 8,000 kilometer modern highway system to surrounding countries. The city is connected to the rest of Jordan by the Desert Highway and the King's Highway that provides access to the resorts and settlements on the Dead Sea. Aqaba is connected to Eilat in Israel by taxi and bus services passing through the Wadi Araba crossing. And to Haql in Saudi Arabia by the Durra Border Crossing. There are many bus services between Aqaba and Amman and the other major cities in Jordan, JETT and Trust International are the most common lines. These tourist buses are spacious and installed with air conditioning and bathrooms.